It's getting to be that time again where life starts changing gears and free time starts becoming a little more rare and precious. Hunter is going to start preschool in September! Crazy! But we're so excited for him. I now have other new priorities with church that will be taking a lot of my attention as well, but I don't mind. :) and amongst it all the one W.i.P. I enjoy the least seems to never. get. done. Do you know what it is? LAUNDRY. Though yesterday was the PERFECT day for laundry! It was hot, sunny and DRY! (usually it's so humid that it takes hours for the clothes to dry - thus we just dry them on the clothes rack inside, but it still takes forever.) Not yesterday. I washed 4-5 big loads yesterday, hung them out to dry on the line, and by the time I brought the next load out, they previously hung clothes were ready to come inside! yay. Now to fold them all and get them put away. lol. ;) oh the wip that never ends. Ok, enough with that. I have some fun stuff going on in the sewing arena. 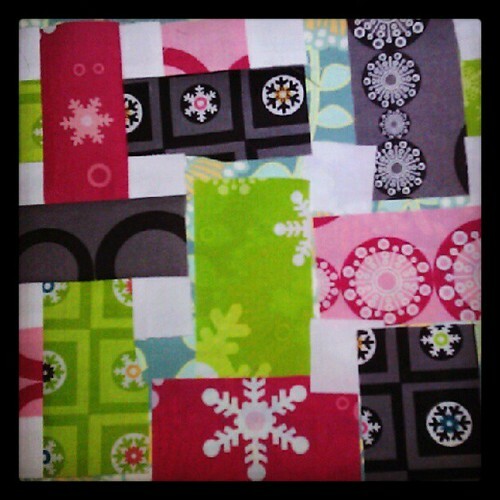 I also have this sneak peek I'm working on for the Winterkist blog hop. Have you seen the other projects?! They are amazing! 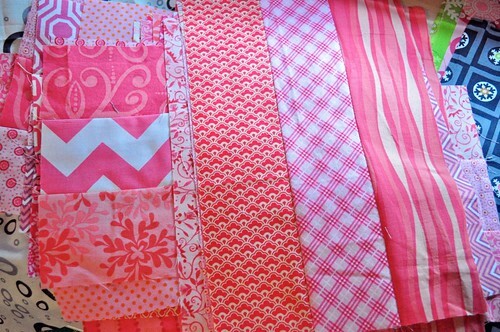 This is such fun fabric to work with! I am almost finished and I am really loving it! I feel like I'm trying to sew puzzle pieces together, but I'm getting the hang of it and it is fun! I made The Master List for all linky parties! If you have a linky or know of some, will come link them up? I think it will be a great resource if we can just get a good collection of them added. You can link up events/blogs even if they are not yours. 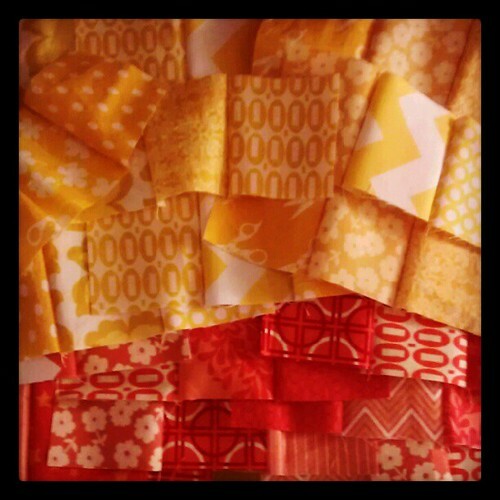 I also started a linky party of my own two weeks ago. It's slow going, and I kind of been woosy in sharing my beginnings because they've been for secret stuff... I think this week will be a LOT better. :) I hope you will come join me and share your beginnings, or not yet started projects. I really like how Karen put it in her post the other day. She's like a swan on the blog - looks so graceful and smooth on top of the water, but underneath the water their legs are moving frantically to create their motion. I agree that I feel somewhat the same way lately. :) Hopefully I'll be able to share more soon. linking up at Freshly Pieced as usual. What are you working on this week? Are you busy getting ready for school? p.s. 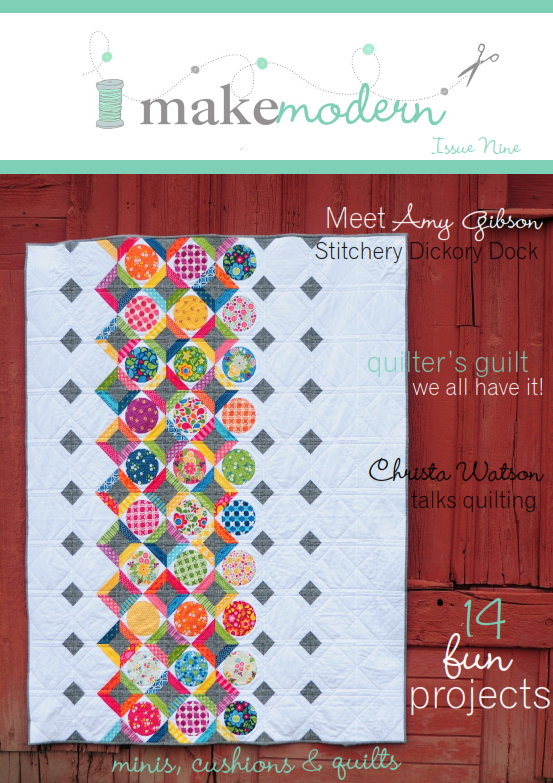 I have a question: what makes a good Quilt-Along? And how do you know if people are going to be interested in joining you? Do you just do it and hope for the best? Any tips or advice? 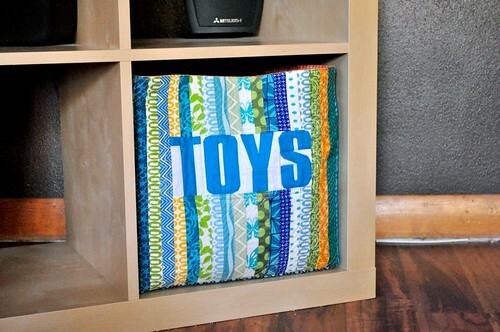 Now that the winterkist blog hop is up and running, I can finally think about starting another project! 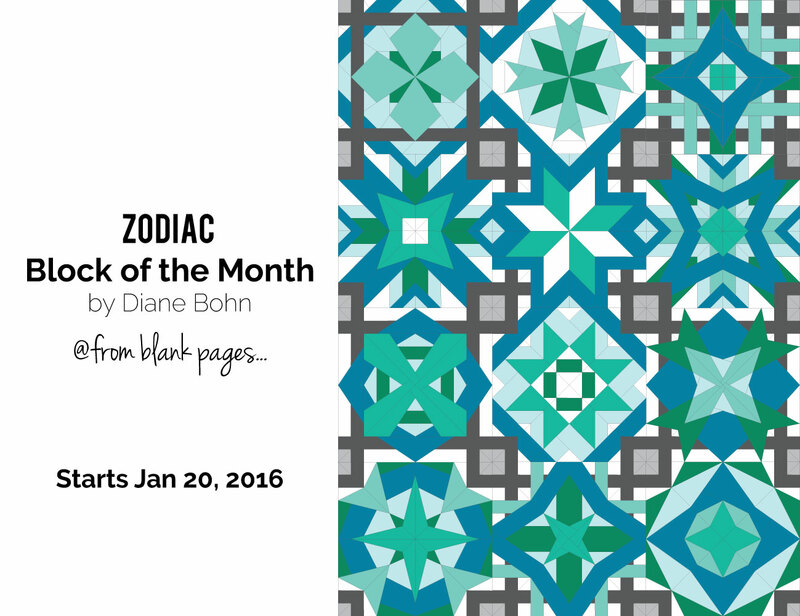 Yipee, I just might have something for your new linky next week!!! Laundry and dishes are the bane of my existence...endless, endless tasks, both of them. I think your Master List is a brilliant idea, and I'm looking forward to your surprise! I just started my Vintage Holiday QAL and since it's my first to host, I'm learning as I go here. Let me know if you get any good tips! The 2nd giant granny is looking good so far, I'll look forward to the tutorial on it! The surprise sounds very interesting. Oooo did you say 80's??!! Do tell more! I'm very excited! And yes, laundry and dishes, dishes and laundry...the bain of my existence. I've have yet to host a QAL, but I do love joining in! I think you just have to hope for the best and maybe ask a few quilting friends to participate, so you know you won't be alone. 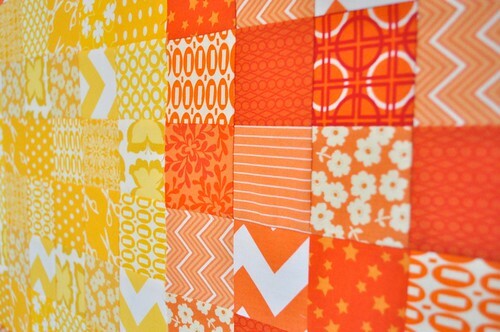 Loving the look of those granny quilt blocks! Great fabrics and colours! Looking forward to the awesome upcoming secret surprise! 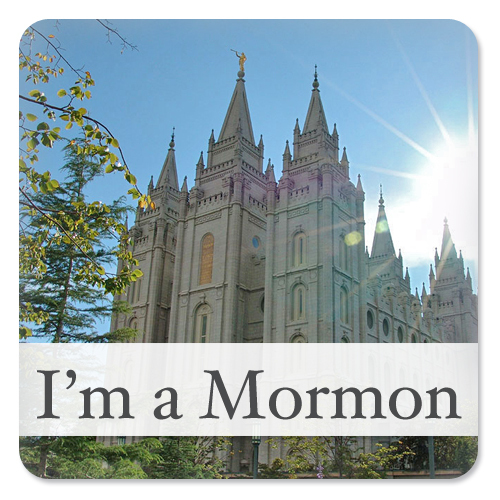 I have not hosted a QAL yet, but I have joined a few lately. First, I look for a fun pattern. Second, can I honestly keep up with the pace (one block a week is doable, 10 is not). Third, does it promise to enhance my skill set somehow by either reinforcing good technique or teaching me a new one. Hope this helps! Oooh, I love those granny blocks, can't wait to see that tutorial! !